Fiction has been proven to increase empathy and open-mindedness in people, helping to break down prejudices in the process. But how do writers accomplish this? What makes a fictional story more compelling than true-life facts? 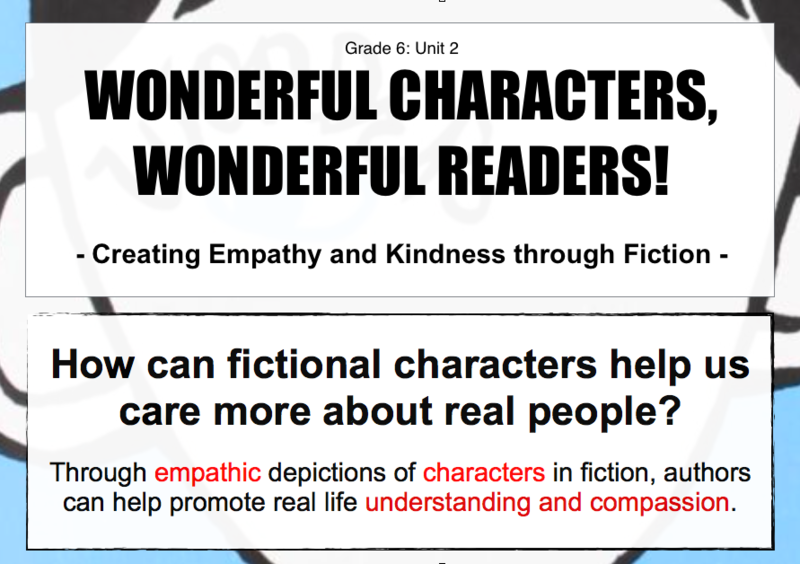 In this unit, we investigate the concept of characterisation and examine how sympathetic and well-written fictional characters can help us care more about people in real life. We will use R.J. Palacio’s Wonder as our main text. We introduce the unit by learning about some background details and starting to read the novel. We will begin to form opinions about the protagonist and learn to justify these ideas with evidence from the text. In this lesson, we learn one of the most important thinking skills around – inferencing. We will solve a crime scene and then apply our new skills to the novel to start thinking more deeply about the characters in this text. In this lesson, we learn about two methods that authors use to create and show a fictional character to an audience – direct and indirect. We then learn about the STEAL model — a way to analyse indirect characterisation. Professional writers must complete detailed research on the topics they write about. Today, we will learn to use Encyclopedia Britannica to research factual information to use in our own creative writing. We will begin writing our own narratives in this lesson whilst also workshopping some creative writing skills to make them even more vivid and entertaining! Today, we learn the difference between editing and proof-reading before peer conferencing about our stories. We will reflect on how to improve our stories and then write the final draft. We finish the unit by reading each others’ stories, reflecting on our learning, and giving feedback on the unit.